Need a great last minute Christmas gift? 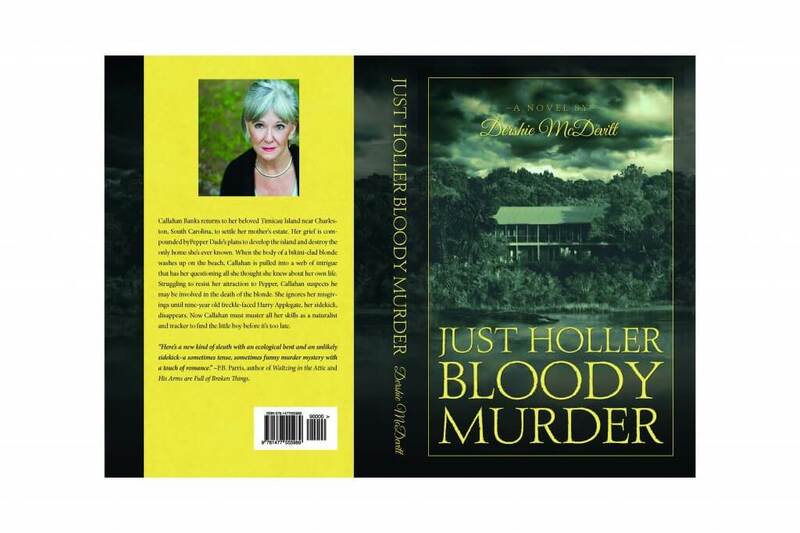 Buy Dershie McDevitt’s novel “Just Holler Bloody Murder.” It just became available on Amazon.com and will be coming out in local bookstores and on Kindle soon. The book follows female lead Callahan Banks as she returns to her beloved Timicau Island near Charleston, South Carolina. The imaginary island is based in part on Dershie’s experiences on Dewees Island. If you order from Amazon, you can easily get the book before Christmas. I ordered a copy today and it will arrive on Wednesday. There’s a press release for the book on her website at http://DershieMcDevitt.com. Here is the cover of the book.